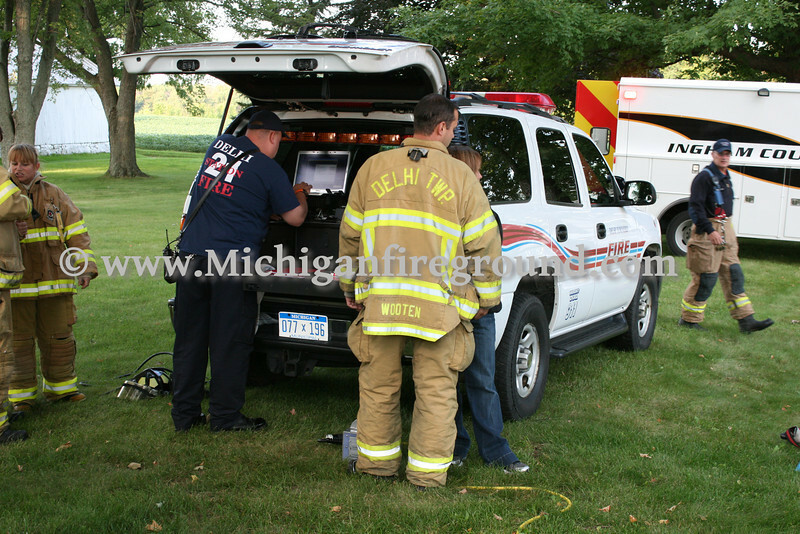 The Delhi Township Fire Department hosted a live burn training exercise in a 2 story farmhouse at 3159 Willoughby Rd on Sunday, August 28, 2011. Several small sets where conducted on the second floor for crews to enter and extinguish before the house was allowed to completely burn. Along with the Delhi Township Fire Department, firefighters from the Mason Fire Department, Leslie Fire Department, Onondaga Fire Department, Eaton Rapids Township Fire Department, Hamlin Township Fire Department, Windsor Township Fire Department and Williamston Fire Department participated in the training exercise.